Nobody ever wants to walk into a room in which a death has occurred. However, you must know what to do to protect your health and safety if you walk into such a scene. The presence of a lifeless body can be dangerous, especially if is has been a couple of days before discovery. It is important to stay clear of the scene because of the biohazard materials and potential evidence present and call 911 to respond to the scene. Once the authorities arrive, you can contact Aftermath Services to restore the scene. Aftermath Services provides death cleanup services in Memphis, TN to clean and restore the scene of a death. Our technicians will work with law enforcement to fully restore the scene without compromising any investigation. If the death occurred because a crime has been committed, then we must approach the restoration of the scene differently. Law enforcement will be conducting a crime scene investigation and it is important that we do not disturb the scene or contaminate evidence. Our technicians have been properly trained to restore the scene of a death in cooperation with law enforcement to avoid compromising the investigation. Once we arrive at the scene, we will assess the situation and create a restoration plan to get the area back to normal quickly and discreetly. 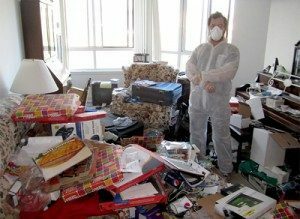 Removal of contaminated materials including carpeting and furniture. Scouring of the scene to remove bodily fluids and stains. Cleaning with commercial grade cleansers to reduce the risk of infections. Transportation and disposal of biohazard materials at a medical waste facility. Arrival in unmarked vehicles to complete the job discreetly. When a tragedy like this occurs on your property, it is important to have the scene restored safely and quickly. Fast and effective restoration will protect your health and help you begin the healing process by returning the scene back to normal. If you need help dealing with the grief from a loss, we can put you in touch with counseling professionals. You can call Aftermath Services any time at (888) 696-7999 for death cleanup services in Memphis, TN.